Chat thread: 2019 Barcelona ATP 500. Nadal will look to keep it that way on Wednesday when the top seed faces Argentine Leonardo Mayerin his opening match in Barcelona. Nadal owns a 5-0 FedEx ATP Head2Head series lead against the World No. 63, winning 13 of 14 sets in their rivalry. Former US tennis player and current ATP Tour board member Justin Gimelstob has been sentenced to three years probation and 60 hours of community labor by a court in Los Angeles following assault charges. Gimelstob, 41, was sentenced on Monday after pleading no contest to felony battery charges following an incident in October last year. Gimelstob was accused of attacking former friend Randall Kaplan while the venture capitalist, his wife and their two-year-old daughter were trick-or-treating on Halloween. Kaplan had sought a restraining order against Gimelstob following the attack, alleging the former tennis star struck him more than 50 times while threatening to kill him. Gimelstob was also ordered to undergo 52 weeks of anger management classes. 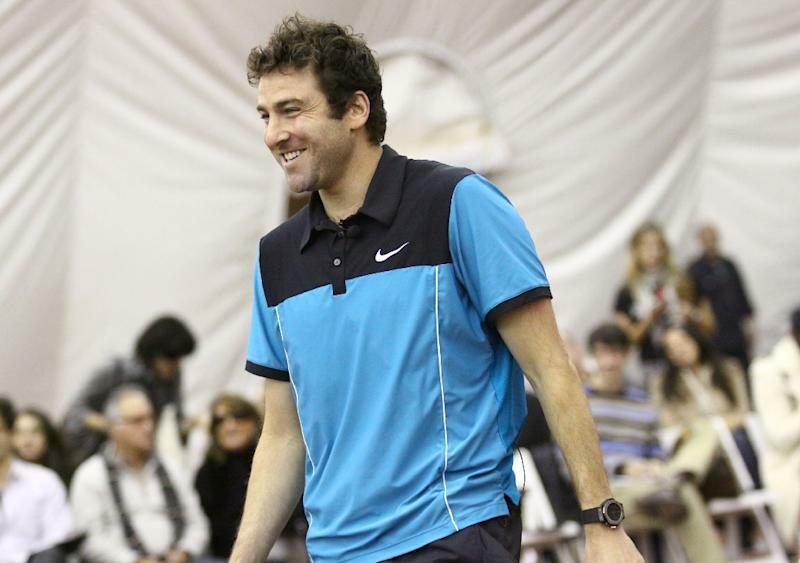 The Los Angeles Times reported that Gimelstob had threatened him before the attack because of his friendship with the tennis official's estranged wife. Gimelstob had earlier vowed to fight the charges against him, stating in December he would present "the true and complete facts concerning this matter", claiming Kaplan had a history of "toxic interference" in his life. However, Gimelstob backed down during Monday's court hearing, accepting responsibility for the assault and stating there "is no place for physical violence in society." Kaplan, meanwhile, said in a statement read to the court that the attack had left him "badly bruised and in a tremendous amount of physical pain" and that he had "never been so scared in my life." His wife, Madison Kaplan, said the trauma of witnessing her husband being assaulted had contributed to a miscarriage she suffered shortly afterwards. Height: 1.74 m (5 ft 8 1⁄2 in). Career prize money: US$ 260,832. Miroslava "Mirka" Federer (born Miroslava Vavrincová on 1 April 1978, later Miroslava Vavrinec) is a Slovak-born Swiss former professional tennis player. She reached her career-high WTA singles ranking of world No. 76 on 10 September 2001 and a doubles ranking of No. 215 on 24 August 1998. She retired from the game in 2002 due to a persistent foot injury. Born in Bojnice (Slovakia), Miroslava emigrated to Switzerland when she was two years old. In 1987, when she was nine, her father took her to watch a tournament at Filderstadt in Germany. Mirka met Martina Navratilova, who thought she looked athletic and should try tennis. Navratilova later sent her a racquet and arranged for her first tennis lesson (Don't you find this 'generosity' from Martina a little 'fishy?). Her best Grand Slam performance was in 2001, when she reached the third round of the US Open.